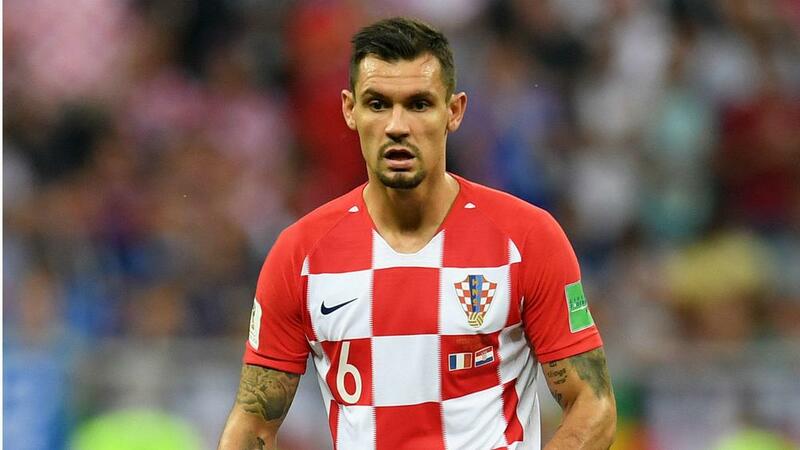 Dejan Lovren has been given a one-match ban by UEFA for comments made on social media following Croatia's Nations League win over Spain. Having already criticised Sergio Ramos in the build-up to the game in November, the Liverpool man was filmed in an Instagram video calling the Spain squad "p******", before uploading a picture of him beating Ramos in an aerial duel in a separate post. Ramos had attempted to defuse the feud in a pre-game news conference, insisting he had no interest in responding to the initial criticism, but Lovren claimed Luis Enrique's side lacked class in defeat. "We showed bigger balls than them," the 29-year-old told reporters after full-time. "They were rude on the pitch, no fair play. We lost [the reverse fixture] 6-0 but were fair. "Only [Alvaro] Morata congratulated us now. I've never experienced that and I am glad because they thought they were bigger than us and we proved them wrong." UEFA found him guilty of insulting behaviour and suspended him for Croatia's Euro 2020 qualifier against Azerbaijan on March 21. Lovren was a mainstay at the heart of the Croatia defence that reached the World Cup final in July and has largely impressed in Liverpool establishing a four-point lead at the top of the Premier League. The 29-year-old will miss Saturday's trip to Brighton and Hove Albion, however, after sustaining a hamstring problem early in Monday's FA Cup defeat at Wolves.